Looks like the air conditioning gets turned back on today throughout the region. Currently in NC/TN, there is a wintry mix happening, but NO REAL accumulations are expected. The northwest flow storm really favors the WV/western MD region the most. 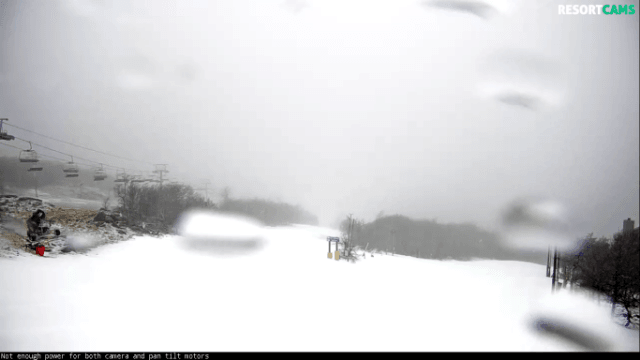 According to High Country Weather, Snowshoe may see 2-5″ in the next 24 hours, followed by Canaan/Timberline (1-3″), Wisp (1-2″), and Winterplace (1″). As for the VA mountains, it looks like they may get a dusting. The real benefit is the return of PRIME snowmaking conditions for all. The one issue for snowmakers MIGHT be the high winds associated with the front. This is all happening as another good weekend is shaping up for the mountains. Snowshoe Mountain: 1-2″ today. 1-3″ tonight. Just an FYI . . . none of the advanced runs were groomed last night, according to the snow report. Forecast . . . “Temps will be falling throughout the day. Snow is expected this afternoon on the back side of this system. The extended forecast shows another long duration of quality snow making weather”. Trails and plans . . . “Snowmaking will resume on Gravity this evening as soon as conditions allow. We have kept our natural snow trail Snowfields open, and the groom on Ramble and Weiss Meadows 1 is smooth and wide”. Yesterday, Timberline took advantage of the warm weather and continued preventative maintenance on the lifts. Reopened today . . . ” We will reopen the bunny today at 9am and main triple (Thunder Draft) lift on Friday at 9am. SALAMANDER OPENING SOON. 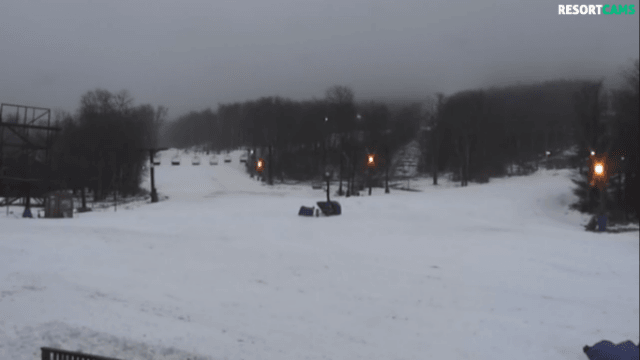 Winterplace: Little or no accumulation expected. Less than half an inch tonight. Wisp: Less than 1″ today. ~ 1″ tonight. A fresh coat should help the entire resort . 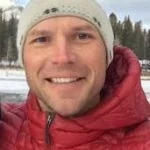 . . from the slopes to their tubing, and help their Nordic Center stay open. Some wintry mix snow in NC . . . not much accumulation expected tonight. Beech Mountain: Snow and patchy freezing fog before 3pm. Little or no accumulations expected. 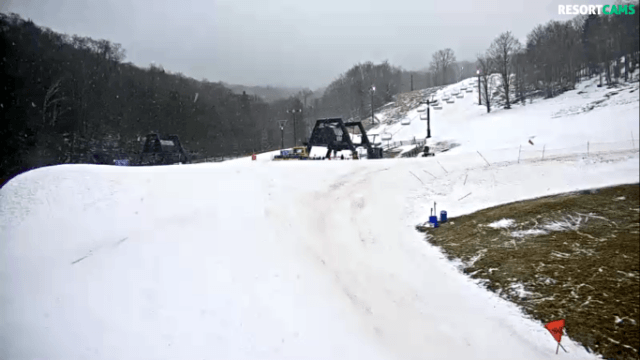 Cataloochee: “Thank you, Fire and Rescue Personnel – And It’s Snowing!And yes, it’s snowing here!” was the headline at CAT today. Appalachian Ski Mountain: Little or no snow accumulation expected today. Isolated snow showers after 1am tonight. Check out the Lunar Eclipse from App on Monday morning . . .
Little or no snow accumulation expected today. Little or no snow accumulation expected tonight. Currently in the 50’s in VA right now with cold air incoming . . .
No natural snow accumulations expected today/tonight. Omni Homestead: No new snow accumulations today. Scattered snow showers after 2am tonight. Base: 28″ of groomed conditions. 6 trails (4 intermediate, 2 beginner) and 2 lifts open. Tubing and Mini-Snowmobiles are open, as well. Bryce: No new snow accumulations today/tonight. 100% Terrain open . . . 8/8 runs with 3 lifts.